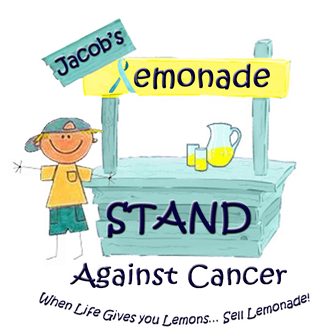 Jacob’s Lemonade STAND Against Cancer started when my 6-year old held a lemonade stand to raise money for Relay for Life. In one afternoon, he raised $1700! We decided to use that as a platform to create an initiative to provide support and services for local cancer patients. This was the start of HOPE’S Wing. We plan to use the Lemonade Stands to fund our projects. We also want to provide support to anyone who wants to hold their own lemonade stand and donate the proceeds to our cause. If you or your child belong to a group (Scouts, Dance groups etc) and would like to hold a stand – we will provide you with support and information (possibly even an online fundraising portal). Remember us when you have community yard sales, sporting events etc – hold your own stand or let me know and we will hold a stand!